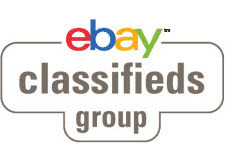 Does eBay Have a Buyer for Its Classifieds Business? eBay may have a buyer for its classifieds business. Europe's biggest publisher, Axel Springer, is interested in buying eBay's classifieds business, reports Fortune, citing German trade magazine Capital. While eBay classifieds never took off in the US, internationally it owns a number of big names, including Kijiji, popular in Canada. The business is important to eBay - the head of eBay Classifieds Group, Alessandro Coppo, is one of only 11 top executives featured on eBay's "Our Leaders" page. But activist investors began pressuring eBay in January to consider selling the Classifieds Group as well as its StubHub tickets marketplace. One can see the attraction of the business - according to Coppo's profile, the unit has over 1,000 employees and consists of a classifieds portfolio available in ten different classifieds brands across the globe, including eBay Kleinanzeigen and Mobile.de in Germany, Gumtree in the UK, Australia and South Africa, and Kijiji in Canada and Italy. Business & Industrial (in certain subcategories); Specialty Services; Travel; and in certain subcategories under Everything Else (eBay User Tools; Funeral & Cemetery; Information Products; and Reward Points and Incentives Programs), and in Real Estate. Internationally, eBay began integrating classifieds with marketplace listings, so the impact of a sale could be more complicated than one might think. An EcommerceBytes reader survey found a lot of ambivalence about a possible sale. When asked, "Do you think eBay should sell its classifieds business (eBay Classifieds Group)," 33% of respondents said they didn't know; 54% said yes, and only 13% said no, though findings might have been different with a less US-centric readership. Readers appear to be far more interested in whether the investors can get eBay back on firm footing. According to the report in Fortune, Capital reported the eBay Classifieds Group made more than $1 billion in revenue in 2018, with more than half of that coming from the German market. No doubt Etsy's current CEO Josh Silverman is watching the developments with great interest. He ran eBay's classifieds business in Europe in the mid-2000s, at one point serving on the Craigslist Board representing eBay's interests. I honestly didn't think any one used Ebay classifieds. I sure never use it, and when I looked around on it, it didn't seem as good as others of its genre like craigslist or offerup. interesting - so all these other little companies are holding ebay up? I was on Kijjii(?) and never got one reply to my (free) classifieds. I remember it was supposed to compete with Craigs, and at one time EB had a share of Craig's ownership. That didn't work out either. Anywho, about the GTC controversy. I had to rethink it. This would work well for large premium type stores (500+ listings), but for the little guy like me with a starter store, not a good idea. The growth that Ebay has been touting is not from the marketplace, but from Stub Hub and Classifieds. Just as Donohoe had done with Paypal and all of its cash, Wenig has been hiding the marketplaces failures with the revenues from Stub Hub and Classifieds. That is another reason that Elliott wants those moved, so Ebay has to focus on the marketplace which probably still their most valuable asset. Time will tell if that remains true or not as Wenig continues to run sellers and buyers off with his continued Disruptive Technology and just overall lack of ability to run a company. eBay needs to concentrate on eBay and fix everything that isn't working properly. eBay doesn't need any distractions like StubHub and Classifieds. Dump everything but the marketplace, and make it the best it can be. If eBay sold StubHub and Classified, they'd get an infusion of capital they could use to fix some of the issues that currently exist. To Wenig, Ebay IS working perfectly, increasing sales for China. I really believe that it is too late to save the ebay marketplace. But maybe the company's having an infusion of cash from selling SH and C will allow them to stop highjacking sellers ... but don't count on it; bonuses must be paid! Whats happening rigjht now behind closed doors has nothing to do with ebay, money, shareholders. Wenig and JD have destroyed lives, families and businesses. It's easy to be a bully when you're the biggest kid in school. Its all the sellers fault for being poor and stupid. But Singer has decimated an entire country and laughed about it. Papa is going to teach Junior what evil really is. Maybe its me - but Ive never seen an "eBay Classified Ad". Maybe its been there (though I never used the classifieds) and I haven noticed it .. who knows. The above posters are %101 correct, eBay uses money from other divisions to cover the abysmal marketplace losses - and now the "chickens may have come home to roost". Theres no way DW wants anything split off - because then his subpar performance will come to light, he wont be able to pay another dividend ever (marketplace provides no cash) and his boys in the BOD (boyz 'n the hood) wont get their perks - and that cant ever happen. Like a good mafia protection racket (ALL Of eBay is mafia driven) - when the boyz stop getting their money - they will turn on DW and he knows it. He wont get one more quarter to disrupt - they will vote him out. The protection money MUST keep flowing - and getting rid of a few higher ups wont save eBay enough money to pay those payments .... and DW knows it. GTC is nothing more then away to insure that cash comes in. DW watched that Sopranos episode where Chris explains the the guys pumping and dumping stock (you cant hit them so hard at once, you have give them enough breathing space and them hit them again each month) ... which is EXACTLY how eBay operates. I cant wait for the fun to begin! I'm surprised there hasn't been a hostile takeover of ebay. I mean, they sure are a good candidate for it. No vision, incompetent leadership, horrendous stock value, no growth. They've failed at just about everything they've done. How can the board be ok with that? How can large companies looking in not see the opportunity? Maybe the brand is so tarnished that no one wants to come near them. NoMoreEbay: Your last sentence hits the nail on the head. What do you think elliott is doing? This is a hostile takeover. They grovel at Singer's feet or Elliott will force a vote for CEO. Thats called a proxy fight. He will win. All these changes like Google Pay are Singer's idea. Singer doesn't like bullies, although he appears to be one. He has other ambitions. Singer is a devout Jew. Argentina hid over 5000 Nazi war criminals. Singer bought Argentina's debt. Argentina is now bankrupt. Little Shop: I think that Singer will dismantle ebay and that will be the end of the marketplace. To what end? We shall see. He'll do everything and anything to get the stock up. He went in with 1.4 billion and I'm pretty sure he wants at least 2.8 before he leaves. He just barely lost a proxy fight for Samsung a few days ago. I don't know how that may affect him. I don't understand. Money has never been a reason to live for me. You need enough money to get by and a little extra to be happy. "To hell with the people". Yes. He's probably a real sick guy. I'm really glad he's on my side. There's a famous news clip where Singer is reposessing Argentina's flag ship. If anyone finds it, I'd love to see it again. Bigger question , is there a buyer for the dying marketplace itself? The ship is pretty much under the water at this point. Oh, sure there is, Mark4. He outlined a five-step plan. No where in the letter does he say he wants to sell the marketplace. And if he did, I can think of numerous ways to chop up ebay. You could do it by country, region, laws. New and pre-owned. A special site just for China. They've already got the males over 50. My email from ebay this morning reinforces my suspicions that they want women and fashion back. No, thank you. I'm very happy where I am. Besides,I owe them $14.99, which is what they'll get when pigs fly over a frozen hell. It was delightful. Looking forward to more. Makes me smile.